First take the pilau rice, stirring. 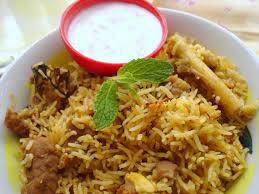 Hot water, cardamom, cinnamon, cloves, bay leaves and cook pilau rice and a little tough. (75% will be cooked) Add meat, salt, ginger garlic paste, cardamom and cinnamon to boil. Heat a frying pan with butter, chopped onion, hot spice powder, charts spices, cumin and salt take 10 minutes to cook the perfect meat. Then mixed with pilau cooked before it. The chili powder, caraway water, condensed milk, peas, and at the top of the egg with the great put down half an hour sagging. 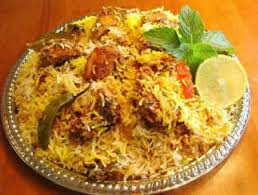 After half an hour off the stove top and serve hot as chili powder arranged with the Lemon mutton biryani.